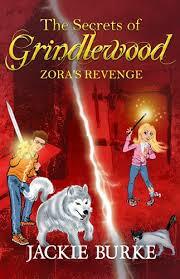 BleachHouseLibrary.ie: Book Revew - The Secrets of Grindlewood: Zora's Revenge. Review by Mia, aged 13. Book Revew - The Secrets of Grindlewood: Zora's Revenge. Review by Mia, aged 13. This is the enchanting fourth book in The Secrets of Grindlewood series, from Jackie Burke. It's spring in the small village of Grindlewood and Jamie, Jemima, Luke and Abigail are waiting for a possible new quest. Their waiting pays off when the children are summoned, along with trusty malamute Timber, to meet up with newly appointed Queen Wanda of the Wandeleis in Hollow Hill. The children are told that wicked sorceress Zora, sister of defeated enemy Worfeus, has returned and is seeking revenge on all of the Wandeleis. They are also told that they are people known as the worthy, beings who are capable of bringing peace. The four kids, Timber and the residents of Grindlewood garden stop Zora before she destroys everything they know and love. But Zora has much more in mind than just destroying a village and a few humans. She plans to bring her brother Worfeus back from the dead with the help of her old teacher Lord Vargon and Wandelei traitor Audmund. To add to the confusion, the worthy must also safeguard a special key each: Luke guards an iron key, Abigail a crystal key, Jemima a silver key and Jamie a gold one. Both sides search and fight for these keys, but what do they unlock? And will the occupants of Grindlewood stop Zora before she raises Worfeus from the dead? This fourth addition to the Grindlewood series is jam-packed with adventure, mystery and very well-described battle scenes! A long enough read with about 300 pages, but it has very big print and is nice and easy. One thing that I wasn't keen on was the fact that the illustrations were the same from previous books and are placed rather randomly around the book. Otherwise, I enjoyed it very much. 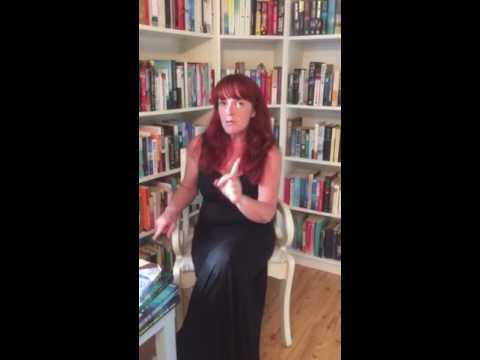 Book Review - 'Lyrebird' by Cecelia Ahern.